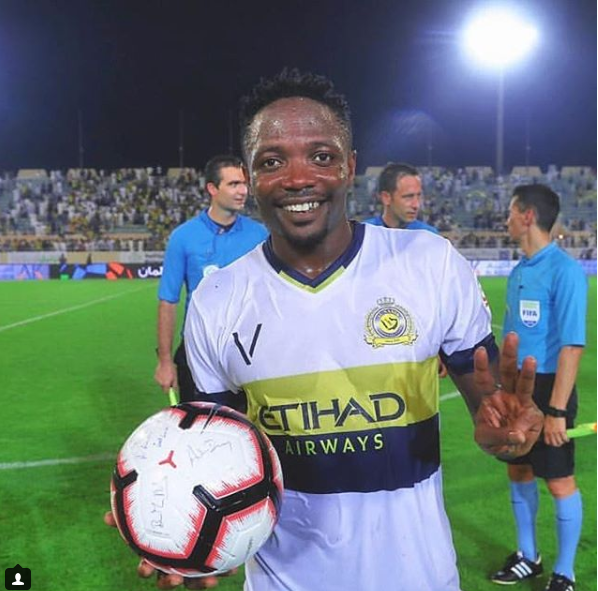 Ahmed Musa celebrates hat trick for Al-Nassr FC. The decision to sign Super Eagles forward, Ahmed Musa is turning out to be smart business for Al-Nassr FC of Saudi Arabia. The 25-year-old scored in the 21st, 40th and 66th minutes to give his team all three points in the 3-0 away win. Great team work!Thankful to my teammates to get the away victory and happy to get my first hat trick for the club! ???????? You like this story? Please share it!